Celebrate the season of LOVE with Mariah when she performs her headlining show, The Butterfly Returns, at The Colosseum at Caesars Palace, this coming February! 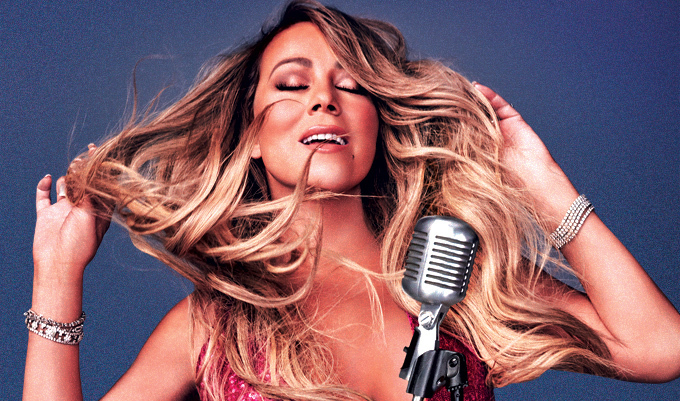 The intimate performance, receiving rave reviews, showcases Mariah's incomparable vocals as she performs selections from her award-winning catalogue of music hits. Make your Valentine's Day a night to remember! Tickets go on sale to the public on Friday, August 31, but you can get early access to preferred tickets and Meet & Greet Upgrades by registering for the Honey B. Fly Live Pass. Our exclusive ticket presales for Mariah's "All I Want For Christmas Is You" concerts begin Tuesday, August 28 at 10 a.m. PT. Legacy members receive early access @ 10 a.m. PT (code prefix HBLF19), then Junior (new) member access begins @ 11 a.m. PT (code prefix HBJF19). MEET & GREET UPGRADES: During your ticket transaction, you may upgrade to the Meet & Greet Package, which will include a special meet & greet opportunity with Mariah!